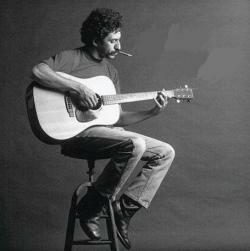 James Joseph "Jim" Croce (/ˈkroʊtʃi/; January 10, 1943 � September 20, 1973) was an American singer-songwriter. Between 1966 and 1973, Croce released five studio albums and 11 singles. His singles "Bad, Bad Leroy Brown" and "Time in a Bottle" were both number one hits on the U.S. Billboard Hot 100 chart.